That wasn’t a big surprise – while Cincinnati’s Billy Hamilton and St. Louis’ Kolten Wong had good rookie years, they didn’t have deGrom’s credentials. The Mets also signed outfielder Michael Cuddyer to a two-year contract on Monday, potentially signaling a shift in focus to trying to win in the present rather than building for some undefined point in the future. I was initially in favor of signing Cuddyer this winter, but I didn’t think he was worth the gamble once the Colorado Rockies extended a qualifying offer that forced the Mets to forfeit their first round pick in next year’s amateur draft to do it. 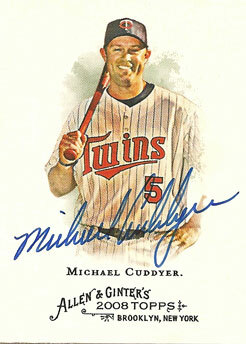 If Cuddyer is healthy, he’s a significant upgrade over Matt den Dekker offensively… but there’s no guarantee that Cuddyer, who will be 36 by Opening Day, will manage to get 500 plate appearances next season. Injuries limited him to 49 games in 2014 and 101 games in 2012. Factor in the loss of whoever the Mets could have taken with the 15th overall pick in next year’s draft, and I thought it was too big of a risk. I still do. But I’m happy to see Sandy Alderson place more value on winning now. David Wright turns 32 next month. The clock is ticking on the Mets’ cheap (for now) young players and they won’t be able to keep all of them once they reach their arbitration years and free agency eligibility. Taking some risks is essential, or the Mets will never climb out of mediocrity. I just hope this gamble works out. The Colorado Rockies extended a qualifying offer to outfielder Michael Cuddyer this week, likely removing him from the off-season plans of the New York Mets and every other potential suitor. If Cuddyer accepts, he’ll earn $15.3 million to play for the Rockies again in 2015. If he declines, the team who signs him will forfeit a draft pick. Cuddyer was expected to get a two-year deal in the $20 million range, so it’s probably in his best interest to accept the qualifying offer. I thought he could be a decent fit for a Mets team that badly needs more offense from the left field position, but signing a player who will be 36 on Opening Day was already an expensive gamble – particularly considering he played in just 49 games this year. Add in the loss of the Mets’ first round draft pick, and Cuddyer just doesn’t make sense any more. I’m sure most other potential suitors will make a similar evaluation. I’ve heard talk about the Mets trading for Red Sox outfielder Yoenis Cespedes or signing free agent Michael Morse as an alternative, but I just don’t see it. The Mets and Red Sox are not a very good fit as trading partners, and Cespedes is not the type of player Sandy Alderson covets. Morse is simply not an outfielder at this stage of his career – he can handle first base if you don’t have high expectations for his defense, but he’s best suited to DH. MetsToday.com writer Dan Capwell shared what he thought the Mets would do this off-season, which basically amounts to maintaining the status quo. That sounds about right… I can see Bartolo Colon getting traded near the deadline next year if the Mets need to open a spot for Noah Syndergaard once the Super Two deadline has passed, and maybe Daniel Murphy will get shopped then if the Mets are nowhere near the wild card race. This winter, I expect stories designed to boost traffic for the media outlets that publish them and little action from the Mets. In happier Mets news, congratulations to outfielder Juan Lagares who won his first Gold Glove Award last night, and Jacob deGrom, who was honored with the Player’s Union National League Outstanding Rookie Award and named as a finalist for the “real” National League Rookie of the Year Award. 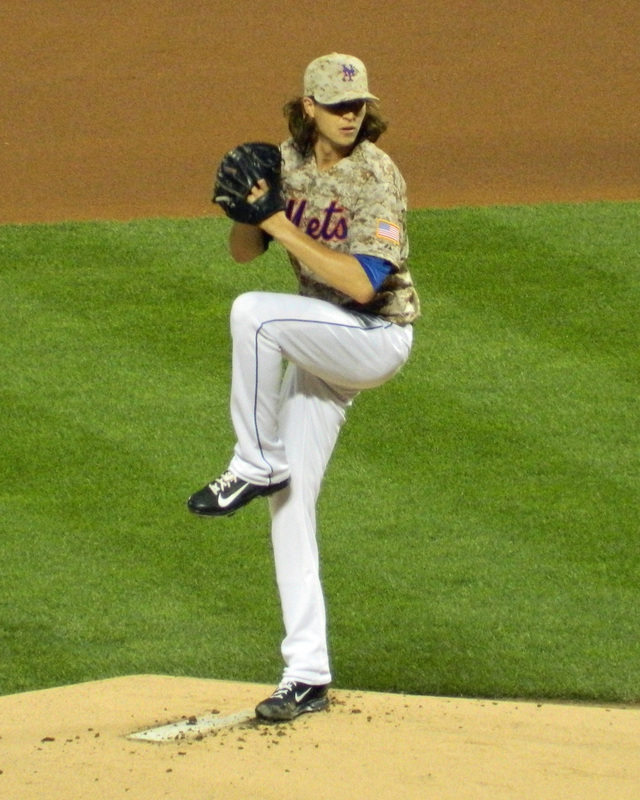 Jacob deGrom is the 2014 Sporting News’ National League Rookie of the Year, the publication announced today. The Sporting News award dates back to 1946, one year prior to Major League Baseball’s first official Rookie of the Year award. Winners are selected based on the votes of players in their own league. Earlier this month, deGrom was named to Baseball America’s All-Rookie team (along with Mets catcher Travis d’Arnaud) and he won the Baseball Bloggers Alliance Willie Mays Award as the top rookie in the National League. I’m beginning to think deGrom could be the Mets’ fifth official Rookie of the Year award winner. The first four were Tom Seaver (1967), Jon Matlack (1972), Darryl Strawberry (1983) and Dwight Gooden (1984).